Lexis Games knows all to well that house edge is something you won't be able to get off from waging, however, it's definitely something you could avoid. 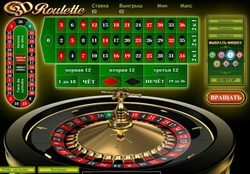 When on a double-zero roulette, there's a particular bet considered to be one of the worst roulette bets with higher favor for the house. This happens when you place down a five-number bet. Wages like 'four-number corner', single, 12-number and many more, would entitle you to have a 5.26 house edge. That's the percentage advantage of the establishment. However, when you give the five-number wage you'll face a whopping 7.89 favor to the house. This only means that it a hundred dollars, you'll have a chance to lose $5.26 on the majority of bets while the latter would make you lose $7.89 each $100 spent. To better understand this, just look at the payoff from each of the bets at the moment you win. If you choose the five-number bet, it entitles you to choose a number where you'll put down your whole $5. This will enable you to get a chance of getting off 6-1 odds or $35 when you win from that money you've spent. However, when you split that money into different numbers - let's say combine three bets on the numbers 1 to 3 consecutively with a 'three-number' street wage and add that with a 'two-split' gamble on the number 0 and 00, if you win on any of the numbers, you'll be able to get off with $36. The same happens even if you divide it on separate numbers 3, 2, 1, 0 and 00. Even if you lose at the others and win on the double-zero, you'll have $36 on your pocket. As you can see, this would only be applicable if the double-zero is an existing bet on the wheel. If you can, it's better to stick with games that has lower house edge and avoid worst roulette bets in order to make the most out of your paycheck. worst bets in roulette for more table game do's and dont's.